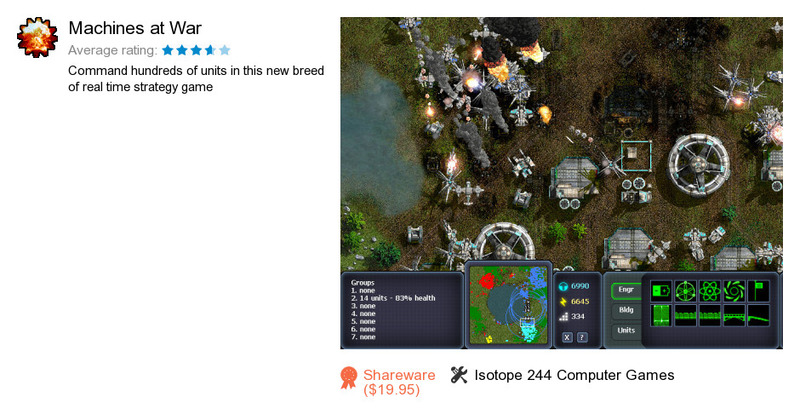 Machines at War is an application developed by Isotope 244 Computer Games. We know of version 1.0. Version 1.0 is available for free download at our site. Machines at War distributive has a size of 19,876,267 bytes. Isotope 244 Computer Games also publishes Atomic Cannon and Picture Cube 3D.